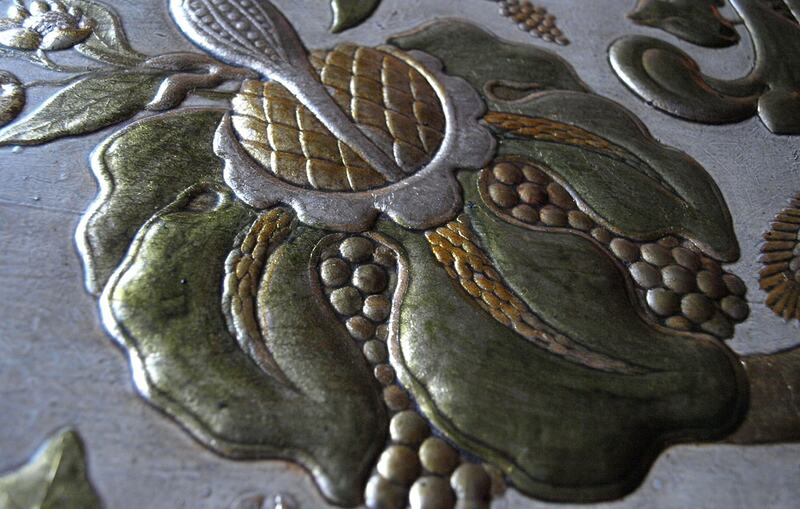 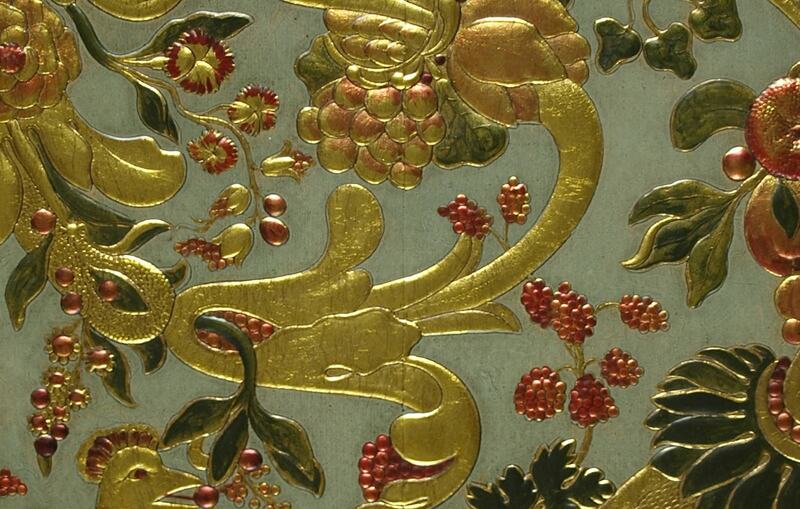 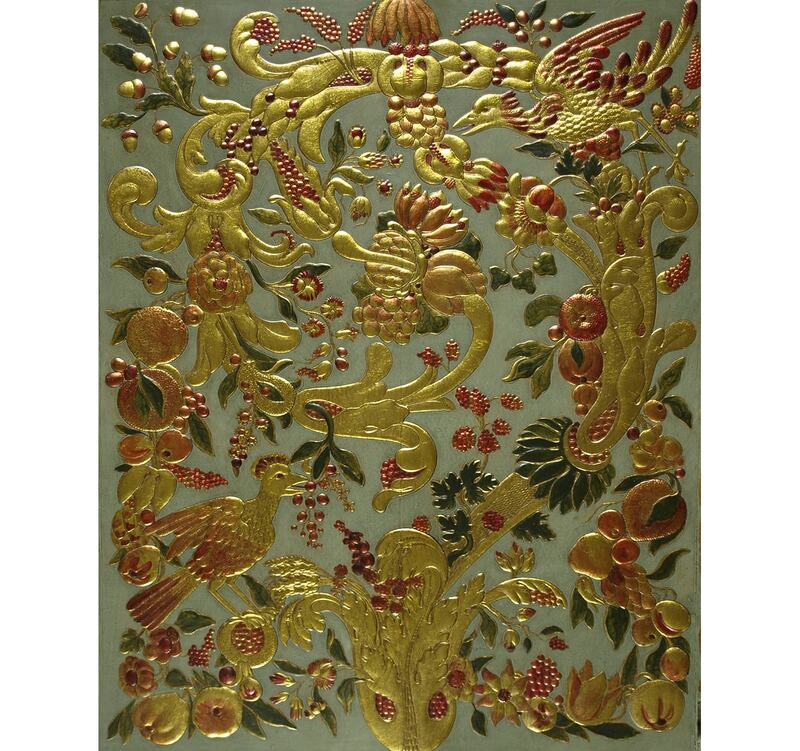 Capturing the prestige of Flanders circa 1650, Abondance is reminiscent of a shield from a decorative suit of armour. 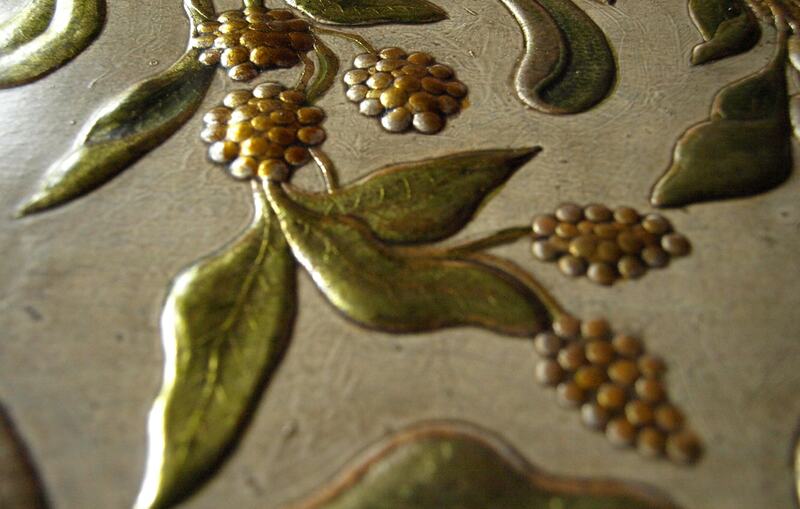 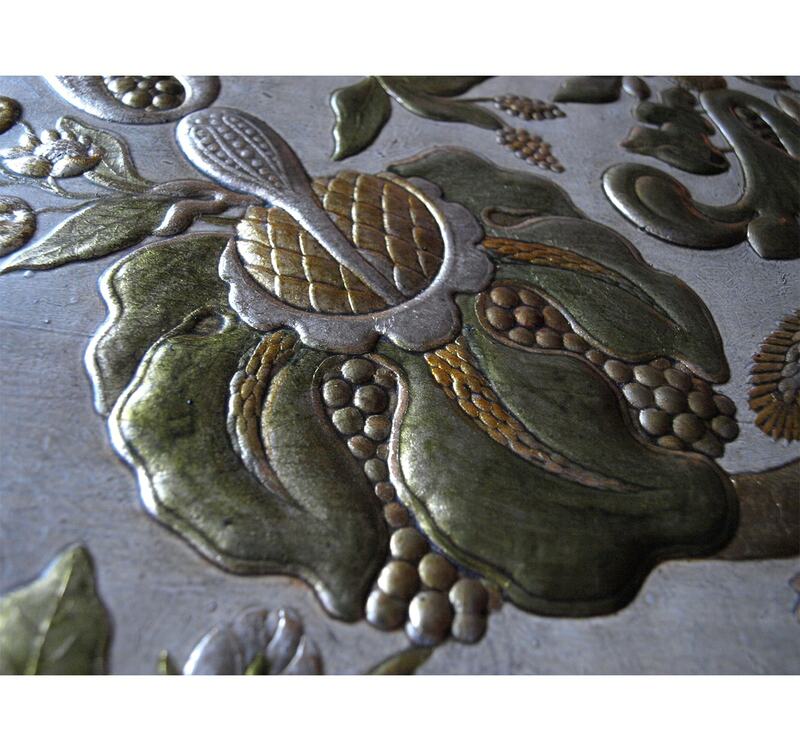 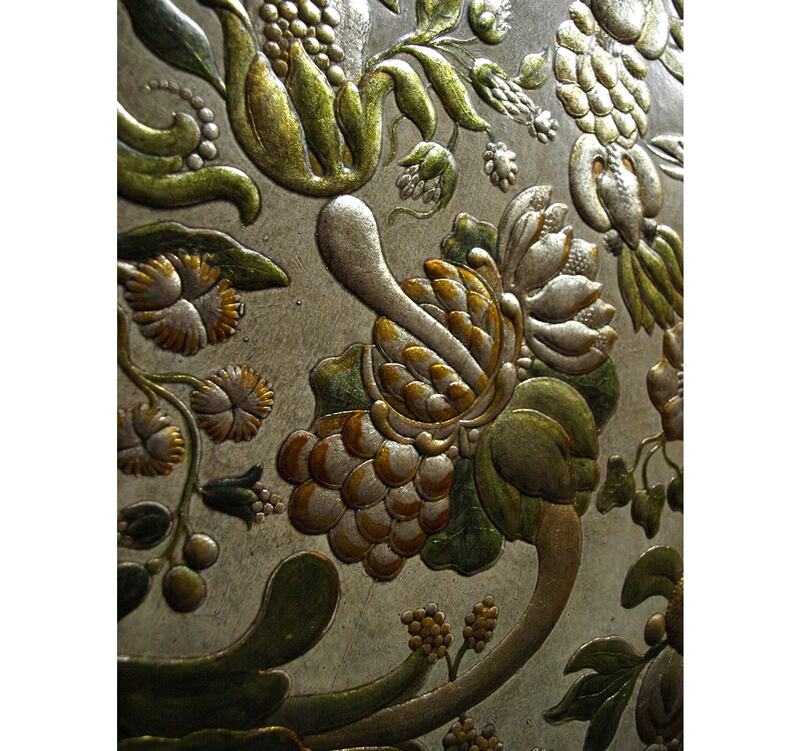 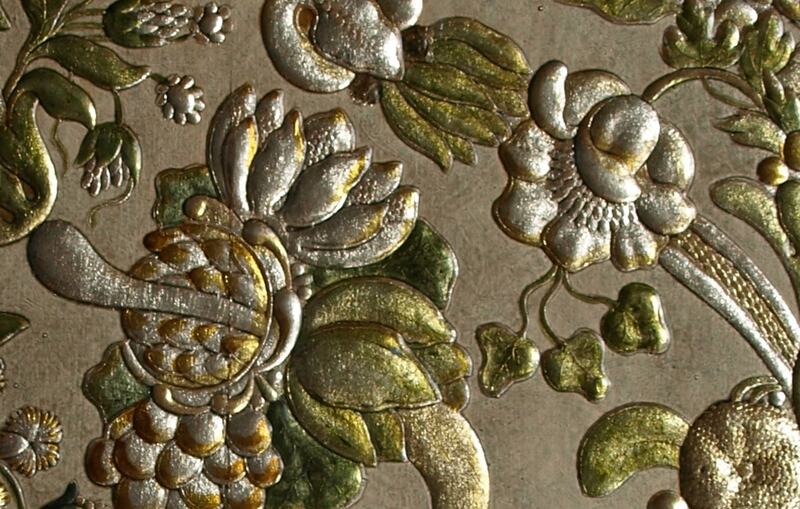 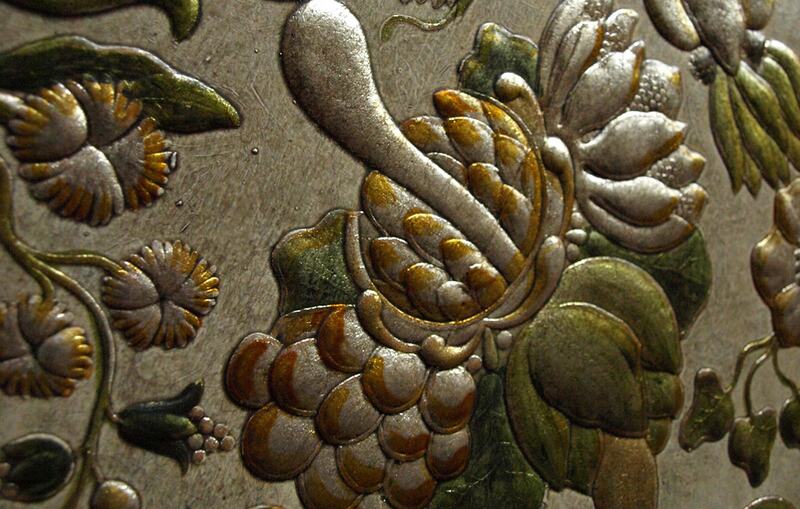 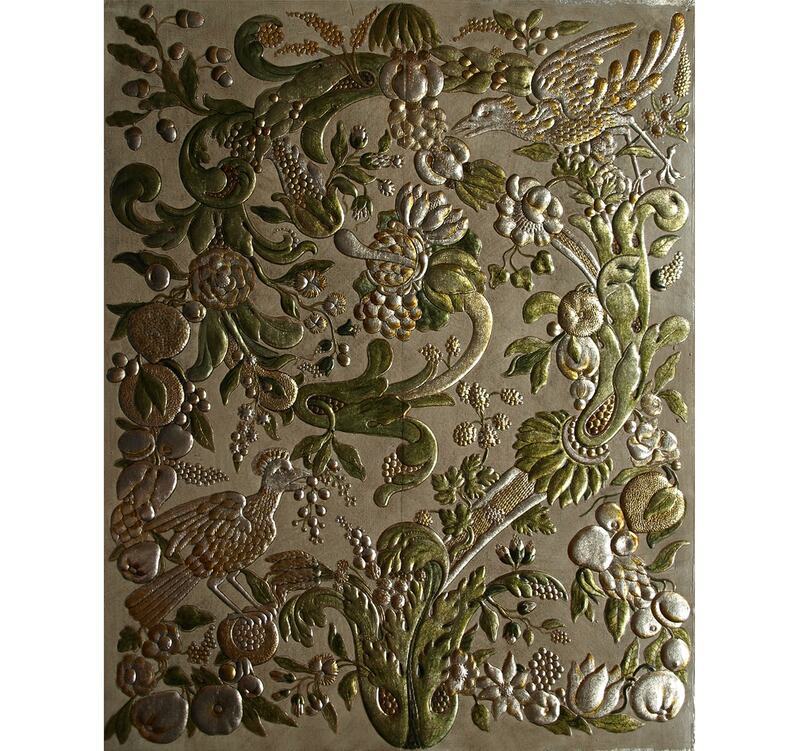 This meticulously crafted surface is achieved using embossed, gilded and hand painted leather. 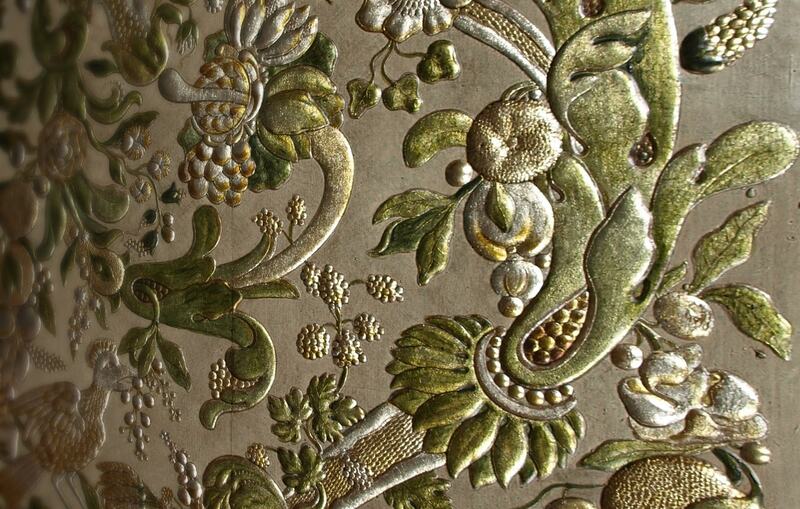 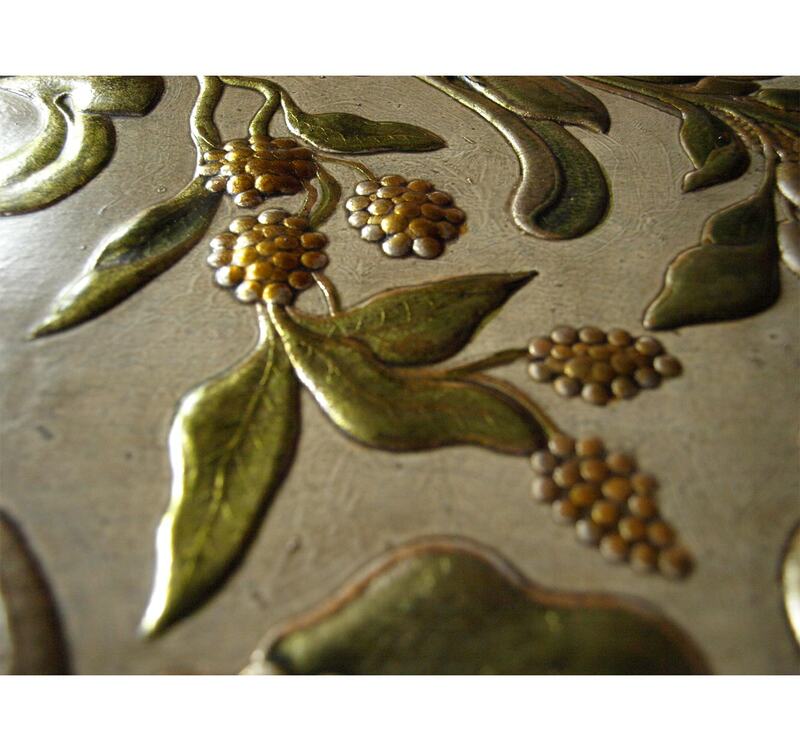 Abondance can be created in a wide range of custom shades and gilded grounds.